The ADMA students captured footage for an upcoming video on how the school's innovative solutions support children with different abilities (i.e. hearing impairment). Specifically, the footage focused on how the school assesses each student, then comes up with an effective strategy for creating a suitable learning environment, and also how the teachers support and interact inside the classroom on a daily basis. The view on setup day, the evening before the big event. ADMA students were testing their gear. The team discusses the plan the night before the event. ADMA student Evelyne takes a photo with the Canon EOS 70-200mm lens on a 1300D. The Imbuto ADMA team that filmed/photographed the event at Parliament. ADMA student Sandrine on an XF105, capturing video footage closeups of speakers on the main stage. ADMA student Adeline, getting the high angle needed from her XF105 video camcorder. ADMA student Noella Claire, getting photos of the audience during the parliament session. ADMA student Barbara, getting a video shot of the audience at the back of parliament. The view of parliament during the special session of International Day of the Girl. October 11th was International Day of the Girl, with the theme "With Her: A Skilled GirlForce". 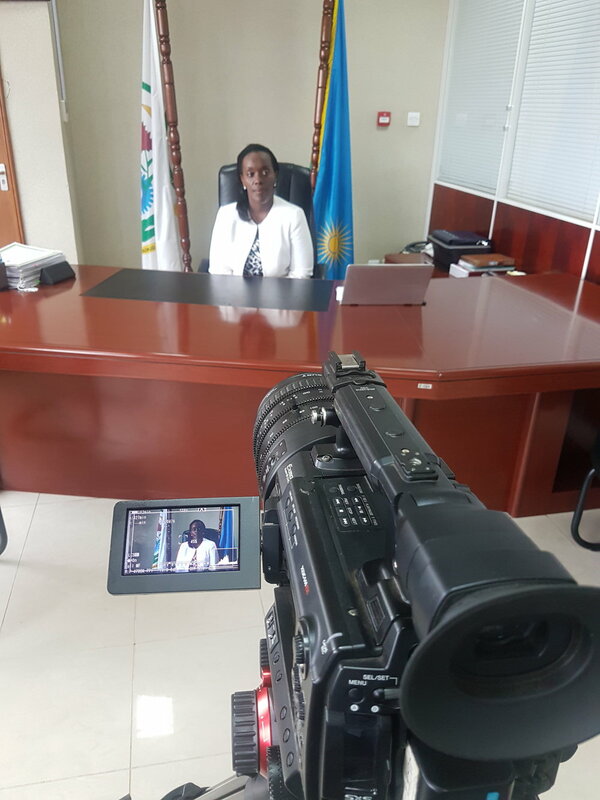 To show how Rwanda is empowering girls, ADMA's female students covered a special session in Rwanda's parliament with both video and photography production. This January the Africa Digital Media Academy conducted its first “All Girls Intake,” in an effort to build capacity and encourage gender equality in the media and entertainment industries. The view from the livestream table setup. Christopher on the wide shot master. Clement on the Canon XF105. Lievain in charge of filming the audience reactions and questions. Clement framing up a question being asked. Seth on the switcher as technical director. Seth pondering how to solve an issue. Jean Rene focusing the camera. Ryan in from with (left to right) Christopher, Seth, Clement, and Jean Rene. 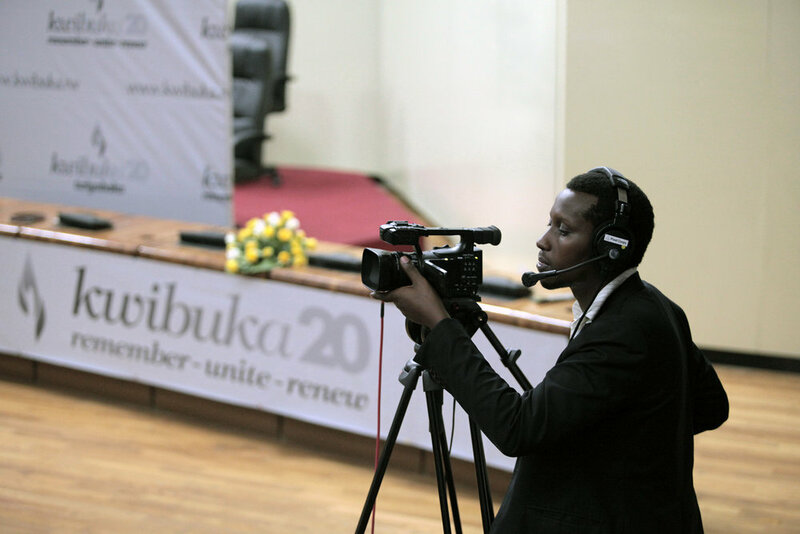 All the way back in April of 2014, ADMA livestreamed the Kwibuka 20 “Kigali International Forum on Genocide” sessions. 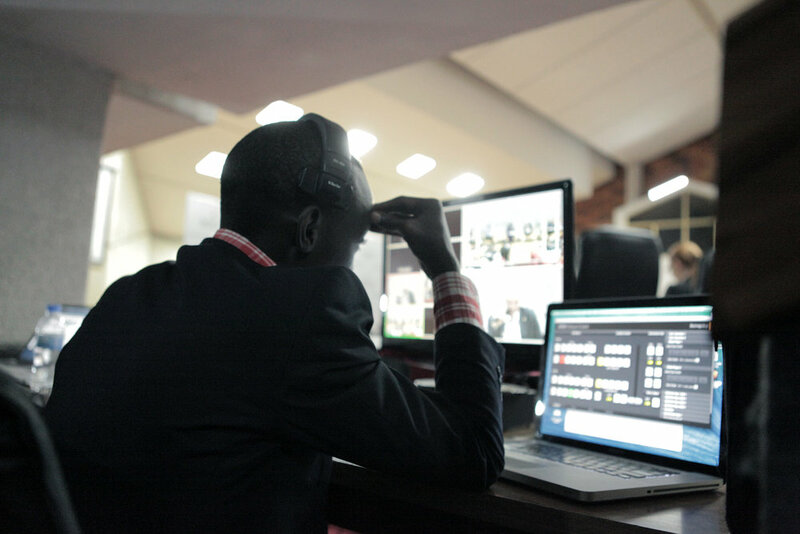 ADMA worked alongside a member of the media team from the Office Of The President to do one of the first HD livestreams from Parliament watcheable LIVE around the world. 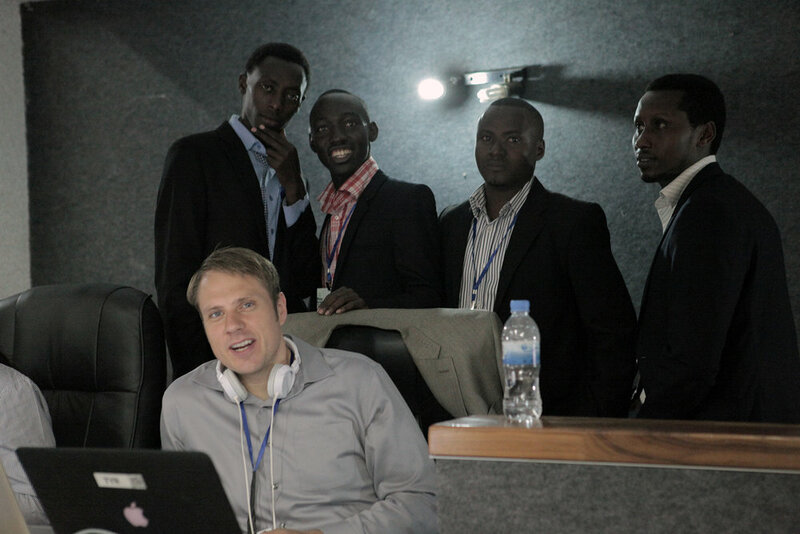 Included here are pictures of that setup, and the team that helped record and archive this very important event. You can watch one of the livestreams posted below. A small group of ADMA students, who learned animation on previous ADMA cartoons projects such as "Children and Birds", have now started their own animation studio and are already publishing content. This video here is the first short cartoon from Funafrica Studios! The ADMA students who created the above animation learned these skills with instructor Alfred Muchilwa, animating in OpenToonz with asset creation in Illustrator/Photoshop, and gained valuable experience on the ADMA project “Children and Birds”, which you can see here. You will see a lot of common names in the credits of both videos!